Australia is the sixth largest country in the world, and is the home to of one of the Seven Wonders of the World, "The Great Barrier Reef." The Great Barrier Reef, which is located off of the Northeastern (Queensland) coast of Australia is home to thousands of species of beautiful fish, amazing coral, and clear blue waters. 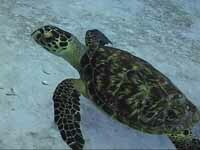 The reef is vast in size, and expands over more than 1,242 miles, and consists of 1000+ islands. 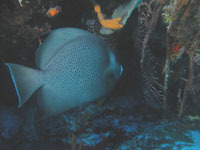 Dive the Bahamas - New Providence! New Providence is home to Nassau/Paradise Island, and is located 50 miles off the coast of Florida in the Atlantic Ocean. 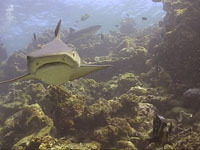 Wrecks, walls and reefs covered in coral gardens, surround the island. 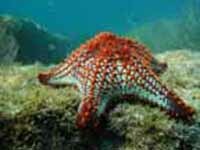 Dive the Baja - La Paz, Los Cabos, and the Socorro Islands! The Baja of Mexico is a desert peninsula that separates the Pacific Ocean and Sea of Cortez. 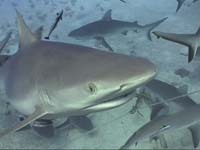 The diving here can be exhilarating with visions of big marine life. During certain periods of the year, you will find Manta Rays, Hammerhead Sharks and Whale Sharks. Off of the tip of the Baja you will find the Socorro Islands that are reached by a liveaboard boat ride out of Cabo San Lucas. The Baja is waiting! 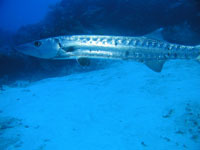 Dive the Bay Islands - Roatan and Utila! The Bay Islands are located just off of the coastline of Honduras. Roatan and Utila are the largest of 68 islands. The Bay Islands offer something for every skill level from wrecks, scenic and colorful reefs, deep walls, to exciting Dolphin and Whale Shark encounters! Bonaire is located in the Netherland Antilles Islands, often referred to as the "ABC Islands." Whether you are a boat or beach diver, the ocean is calling, and there is so much to see! Are wrecks your pleasure; the ABCs have some of the best artificial reefs in the Caribbean. 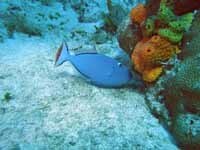 Dive the Cayman Islands - Grand Cayman, Little Cayman and Cayman Brac! Discovered by Christopher Columbus is 1503, and located 480 miles south west of Miami, you will find the Cayman Islands, and two of the most renowned dive locations in the world; Cayman Brac, and Little Cayman. 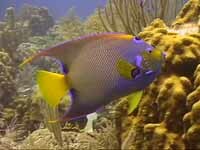 Divers have voted Cozumel, Mexico as one of the number one reef diving locations in the world. Enjoy breath-taking views while drift diving along more than 18 dive sites. Whether you are a beginner or advanced, Cozumel has an exciting reef encounter for you! 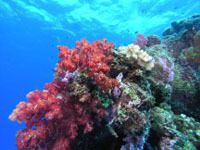 Fiji is often referred to as the "Soft Coral Capital of the World." The more than 300 islands that make up the Fiji Islands, boost nutrient-rich waters filled with not only soft corals, but hard corals, wrecks, and an abundance of fish and plant life. The Galapagos Islands are abundant with giant tortoises, sea lions, penguins, marine iguanas, and varieties of sharks (Whale, White Tips, and Hammerheads). 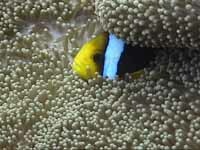 Crystal clear water, colorful corals and schools of fish make up a typical day of diving in the islands. Adventure is the Galapagos! Visit The Big Island of Hawaii! 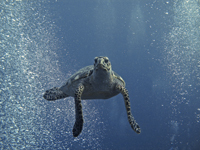 The Hawaiian Islands are abundant with sea turtles, Manta Rays, and gorgeous sites. Dive Micronesia - Chuuk (Truk), Palau and Yap! Micronesia is comprised of two thousand tiny islands located in the Pacific Ocean, between Hawaii and The Philippines. You will find some of the world's greatest wreck dives in Truk, breath taking coral reefs in Palau, and if you venture to Yap, you may be so luck to swim with the Manta Rays. Turks and Caicos Islands are home to the third largest coral reef system in the world, making it a premier diving destination.